Here's a crimson wave you'll want to ride. Painting the town red is a literal thing on Chinese New Year, so we're proposing you proceed in serious style. 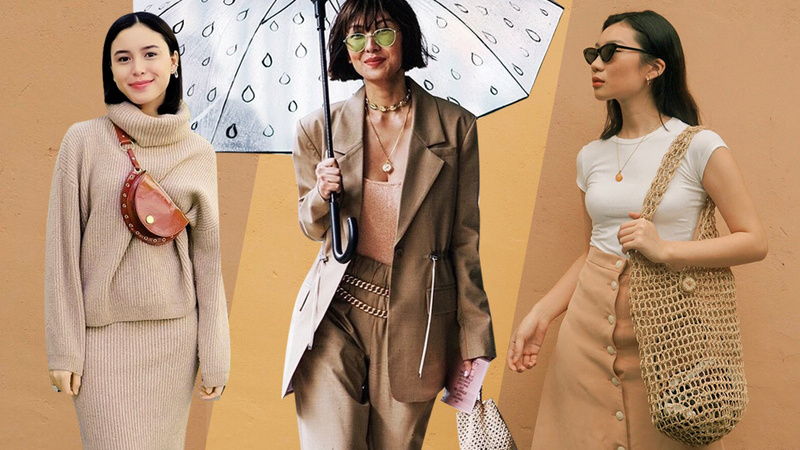 Here, 10 well-dressed girls in garnet who are happy to be your OOTD pegs this year! 1. Ladylike pleated florals are a sweet, frothy choice. Tricia Gosingtian approves. 2. A vibrant ruby blazer goes great with your trusty black trousers—it's a chic, masculine-meets-feminine look Liz Uy likes. 3. Why not do a full-on suit? Let Georgina Wilson convince you it's a great idea. 4. Heart Evangelista's timeless combo: a demure, midi wrap dress and Chanel cap-toed slingback pumps. 5. A street-smart windbreaker like Laureen Uy's adds cool-kid flair to a simple jumpsuit. 6. Fuchsia and scarlet make for a fun, on-trend pairing, says Camille Co! It's an easy-on-the eyes deviation. 7. If CNY celebrations are more laidback where you're from, borrow Sarah Lahbati notes on how to turn sneaks and sweatpants party-proof. 8. Deeper shades like oxblood or burgundy are just as striking. Renee de Guzman's trick is to top up with a cute beret! 9. Ruffles and a color-matched print are a cute way to don separates. We're especially liking this pencil skirt on Nicole Andersson. 10. Don't fear shine and texture! Subtle sparkle on a sheer top tucked into a pleather mini is Melissa Gatchalian's festive solution. Tote around a beaded bag, too!